The gas station ended up suing to retrieve their video. Now, the Pentagon has many videos outside focused in on the parking lot and other aspects surrounding the building. Supposedly, there are 86 outside cameras. Only one 5 frame video was released to the public, and it barely showed a plane. Many people wanted the Pentagon to release the other security tapes that was shot outside of the Pentagon. Well, that never happened. Now, why would they confiscate video from the Gas Station from across the street on 09/11/01? Of course, they also confiscated video from the Sheritan National Hotel as well from what people have reported online. Why confiscate their surveillance videos? Don’t they have enough cameras at the Pentagon. Was the confiscation of these videos to cover up their tracks? I guess we may never know now. “Cover Ups” seem to become an every day occurrence these days. 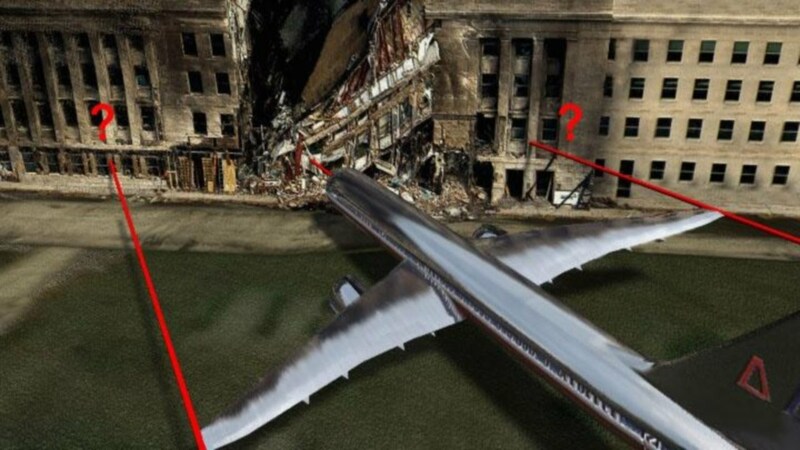 Or why Flight 175 can visually be identified as a military version of the 767 (New York Magazine) Or the dismissed, multiple, credible reports of multiple explosions being heard at the WTC before the planes struck. Or how jet fuel doesn’t burn hot enough to melt steel, yet the Twin Towers collapsed at a rate approaching free fall. — And so on and so forth. The opinions expressed in this publication are those of the authors. They do not purport to reflect the opinions or views of the Anonymous or its members.